1. 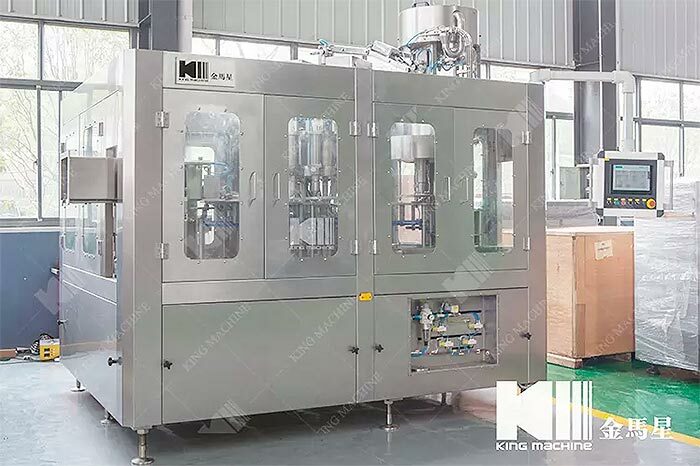 Fruit jam filling bottling machine suitable material: Oil, jams, daily chemicals, and something that very viscous. 2. This filling machine is a high-tech filling equipment controlled by microcomputer PLC programmable, equip with photo electricity transduction and pneumatic action. 3. Accurate measurement: adopt servo control system, ensure the piston can always reaches constant position. 4. When close to target filling capacity can be applied to realize speed slow filling, prevent the liquid spill bottle mouth cause pollution. 5. Convenient adjustment: replacement filling specifications only in touch screen can be changed in parameters, and all filling first change in position, fine-tuning dose it in touch screen adjustment. King Machine is a professional manufacturer and supplier in China,and specialized in providing you with fruit jam filling bottling machine,fruit jam filling machine and so on. 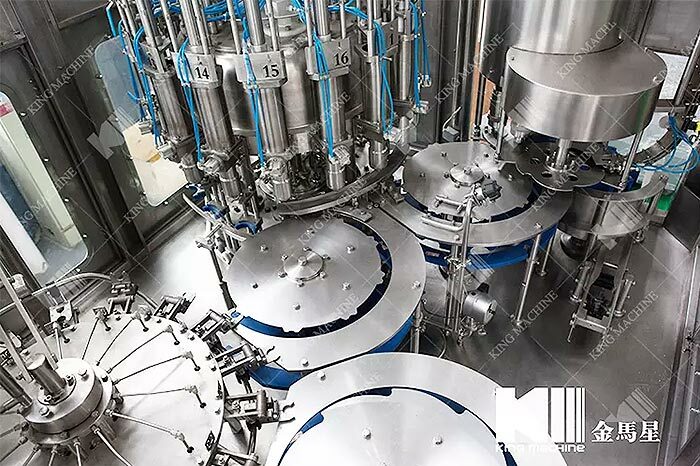 This automatic fruit jam filling equipment is suitable for viscous liquid,like sesame sauce,tomato sauce,peanut butter,jam,seafood sauce,seasoning sauce,honey,paste and so on.When the automatic jam filling machine connected to the washing machine,tunnel sterilizing,labeling machine and packing machine,they are the complete filling line. 1. Fast change-over design for different size of bottle. 2. Siemens PLC control syster. 3. High accuracy, meet with GMP standard. 4. Digital LCD touch screen display and setting. 6. Dipping type filling nozzle, no spilling of liquid onto clean bottles and conveyor. 7. Parts with contact with material are all made of stainless steel of food-grade, no dead angles and easy to clean up. 8. Each component are connected with clamps,easy for customers to change different material frequently and cleaning requirements. 9. Adopting domestic and international famous brands electrical and pneumatic components, low failure rate, stable and reliable,using life is long. 10. All material contact parts are made of stainless steel,corrosion-resistant, easy to disassemble and clean. 11. Simple adjustment of filling volume and filling speed,once no bottle comes or no material feeding in,the machine will stop automatically. The filler mouth has anti-drip device. 12. No need to change parts, you can quickly change different sizes or shapes bottle.